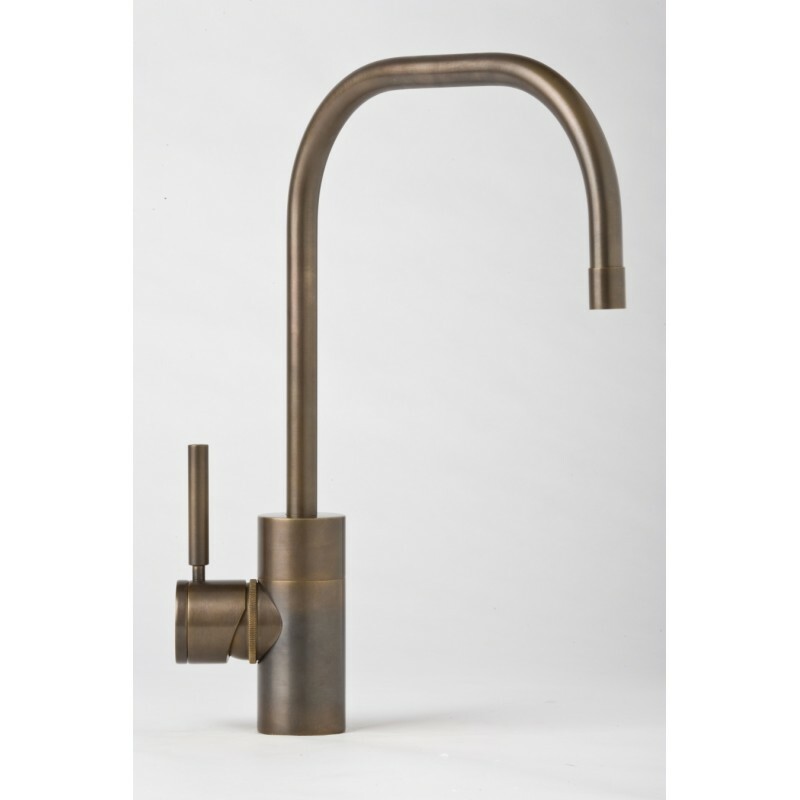 Fulton Single Handle Kitchen Faucet. Sleek, with a long reach for cleaning those large pots and pans. Contemporary 2 Bend U-spout design with a 11-1/8" reach. Solid brass or stainless steel construction. Spout swivels 360 degrees. Single lever control with Hot/Cold ceramic disk valve cartridge. Handle adjusts 22.5 degrees in either direction for backsplash clearance. Equipped with diverter for optional side spray. Reversile or removable Hot/Cold indicator ring. Reinforced braided connection hoses.